Bookings must be made by no later than 11pm the day before your ski day. Best Inventory in Revelstoke - With brand new, top of the line equipment from some of the world's top ski and snowboard brands, you'll always get the best gear on the market. Switch It Up - Conditions change, so why not change your skis? Switch out your equipment as many times as you like throughout the day. Adapt to conditions, or just try something new. Wide Selection - From carvers to fat pow-slayers and touring equipment (including splitboards), we've got the perfect setup for your favourite type of riding. We also recently expanded our floor space to make room for the latest gear. 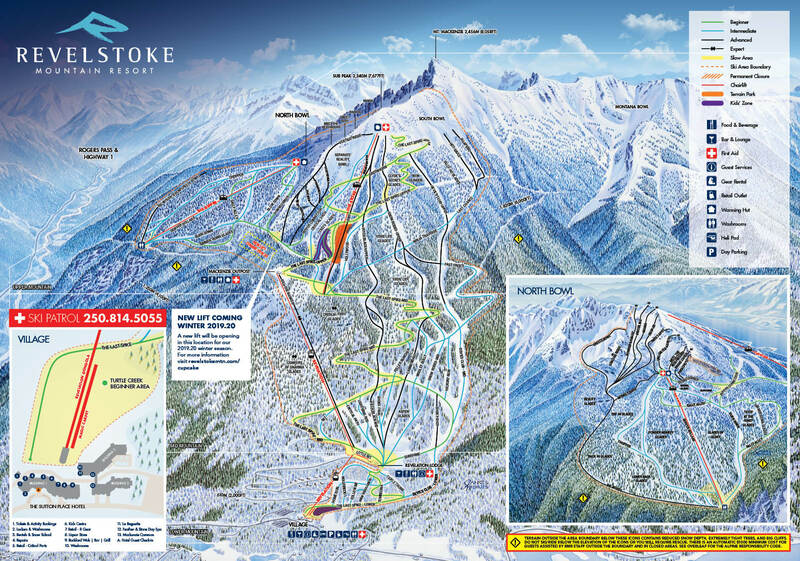 Slopeside Convenience - Book your skis online and we'll store them overnight for you with our concierge service. Early morning openings mean you'll never be late for a pow day. Local Expertise - Our certified technicians are a wealth of information, both on and off the mountain. They will help you choose the right equipment for the conditions and share their local knowledge. View rental rates for adults, children and tots. We offer standard and high-performance packages and can customise the length of your rental period depending on your requirements. We carry a wide range of high performance rental skis; fat rockered powder skis, versatile all-mountain freeride and carving/race skis. Standard all-mountain skis are also available. Reverse and hybrid camber high performance powder boards as well as regular camber all-mountain boards are available. Check out our backcountry splitboards if you plan on touring! Ski, snowboard and touring boots are available. We are selling a limited selection of rental equipment from the previous season - grab a bargain!